The abrogation of Article 370 of the Indian constitution is a violation of UN resolutions, claims Pakistan. A long-standing debate on the relevance of Article 370 of the Indian Constitution in Kashmir has been the subject of numerous discussions in recent times. 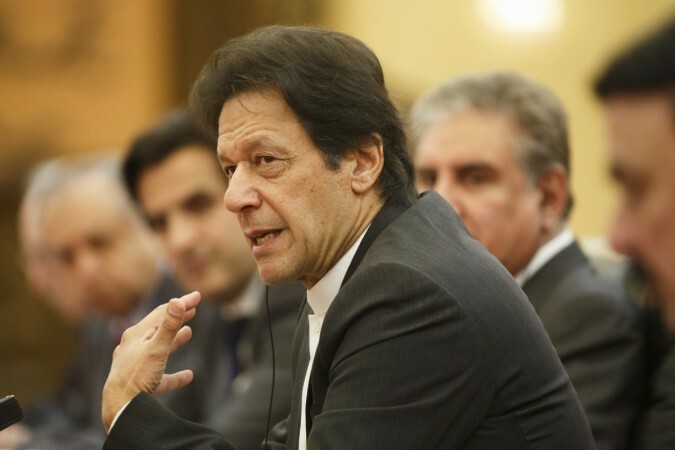 Recently, Pakistan has also jumped into the war of words saying that it will not accept the abrogation of Article 370 as it would be a violation of the United Nations resolutions. Article 370 is a "temporary provision" with respect to the state of Jammu and Kashmir and restricts the applicability of various provisions of the Constitution by "curtailing" the power of Parliament to make laws on subjects which fall under the Union and Concurrent lists. While addressing the reporters in Islamabad on Friday (April 5), Pakistan's Foreign Office Spokesman Mohammad Faisal made several comments on the abrogation of Article 370 in Kashmir, saying it will be in violation of the UN resolutions. "The abrogation of Article 370 of Indian constitution is a violation of UN resolutions. We will not accept it under any circumstances and the Kashmiris will also not accept it," he said, as reported by news agency PTI. Senior BJP leaders have repeatedly emphasised the party's commitment to abrogate Article 370 from the state. According to press reports, BJP President Amit Shah said it remains committal to remove the Article from the state but their lack of a majority in Rajya Sabha is the reason why it has not been done so far. Shah's comments were met with some sharp criticism from political leaders in Jammu and Kashmir. National Conference leader and former Jammu and Kashmir chief minister Omar Abdullah said when the country got independence, a Constitution was created in which certain provisions were kept by which the state's identity could be safeguarded. "It included Article 370 and Article 35A. Unfortunately, some of our leaders made Article 370 hollow for their personal gains," he said. His father and National Conference President Farooq Abdullah had said that the relationship between New Delhi and the state will be over if Article 370 is repealed. Also, Jammu and Kashmir Chief Minister and People Democratic Party (PDP) chief Mehbooba Mufti told India Today, "If Article 370 is abolished, India will become an occupational force in J&K." Article 370 grants special status to the state of Jammu and Kashmir, while Article 35A empowers the state legislature to define the states "permanent residents" and their special rights and privileges.